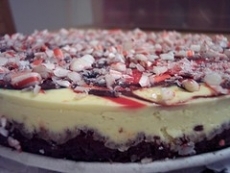 Have you made Candy Cane Cheesecake? 1. Preheat oven to 325F. Combine first 3 ingredients and press into a 9-inch springform pan. 2. 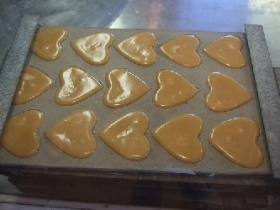 Blend sour cream, sugar, eggs, flour and both extracts until smooth. 3. 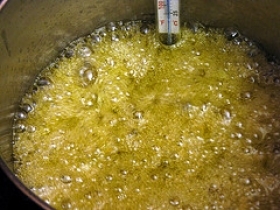 Add cream cheese and 2 T butter. 4. 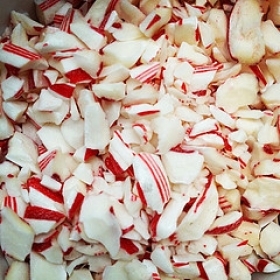 Stir in crushed candy. 5. Pour into crust and bake on lowest rack of oven for 50-60 minutes or until firm. 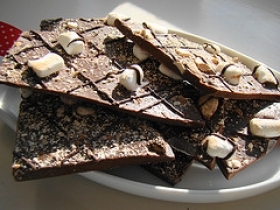 Allow to cool (top may crack) and refrigerate overnight. 7. 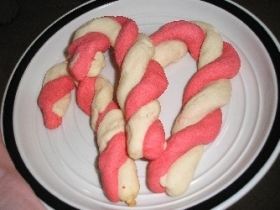 Top with sweetened whip cream and garnish with candy cane if desired. 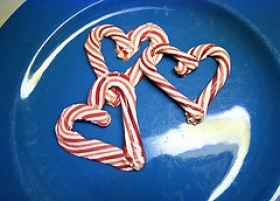 Try seperating the batter, adding red food coloring to one batch, and layering and marbling to add a festive touch. This recipe contains potential food allergens and will effect people with Wheat, Egg, Butter, Gluten, Cheese, Natural Sweeteners allergies.